Do you dream about having a business that is flexible, enjoyable, and pays well? Around five years ago I was having those same dreams. I wanted to get paid what I felt like I *deserved* and knew that I couldn’t do that where I lived. I also knew I wasn’t moving so, to the internet I turned. My first success online didn’t come in the form of being a virtual assistant. (In fact, at that time I had NO idea what a virtual assistant was.) Instead it came from freelance writing. After starting this blog I began writing for insurance websites. I shared all my progress and put up a “hire me” page. Soon enough I had inquiries from fellow bloggers asking if I’d write for them. After freelance writing for a while and getting majorly burnt out on it I decided that I was going to trim down my clients to the ones who I enjoyed working with and the ones who paid the best. I emailed a blogger I was writing for letting him know that if he needed more writing help I was available. He told me yes and not long after emailed me back telling me he needed even more help and the work wasn’t writing related. I was pretty ecstatic to get paid for work that I enjoyed and to be able to cut back on writing just a little bit more. 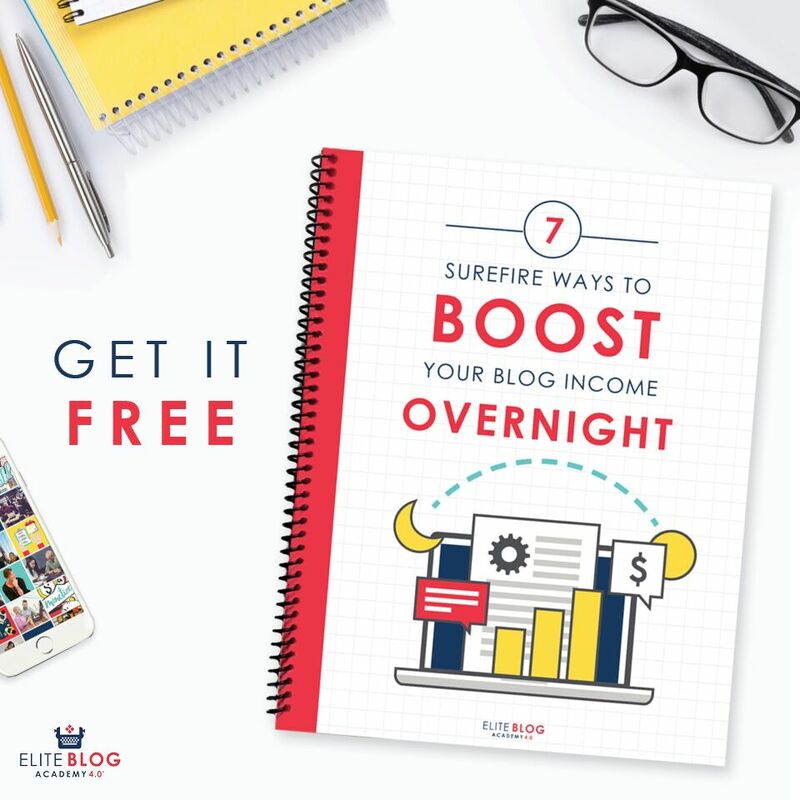 In the meantime I was still looking to get rid of more writing clients I didn’t want to work with so I pitched an owner of several blogs and offered to do a little SEO work. This, again, opened up a whole new door for me and I had my second virtual assistant job. During this time I realized something major: many online entrepreneurs/bloggers/small business owners desperately NEED help but don’t know who to ask. 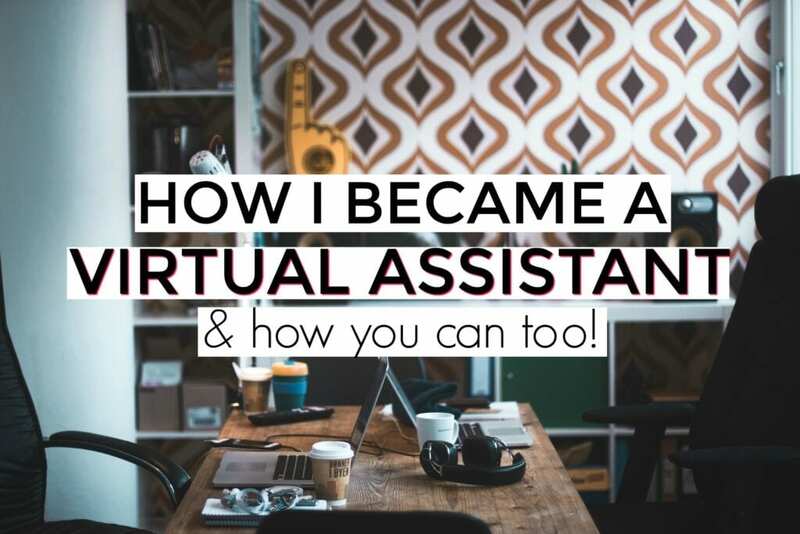 Becoming a virtual assistant made me feel more in control of my freelance business and allowed me to diversify my income. As I got more comfortable in my role there were a few things that I absolutely loved: the flexibility, the pay, and the variety! Flexibility – As a mom to two (almost three) girls flexibility is really important to me. I’ve never had a day job that offered sick pay or more than two weeks’ vacation. Having the flexibility to take my kids to school, keep them home with me when they’re sick and being able to say yes to other important things in my life is a big plus. As a virtual assistant you’ll commit to doing a certain amount of work but you’ll have nobody telling you what specific hours you have to work. The Pay – In that past I’ve had the tendency to underbid and sell myself short. (It’s taken a lot of mindset work to overcome that.) But as a virtual assistant I always made what I considered to be a good rate for the work I was providing. I’ve earned $17-$50 per hour as a virtual assistant and currently won’t even consider anything that pays less than $30 per hour. 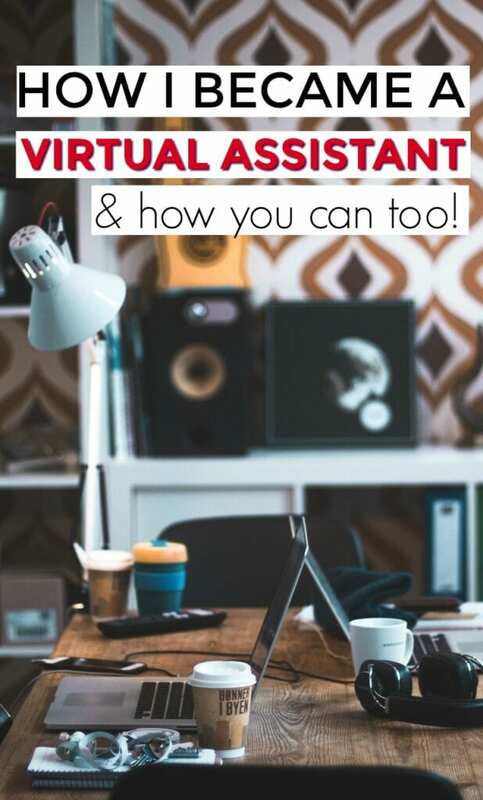 The average North American virtual assistant earns $35-$50 per hour – which definitely makes this one of the more lucrative online businesses to start! When I started working as a virtual assistant it was a breath of fresh air. I loved the variety of tasks and loved even more that most of them didn’t take a ton of mental energy. I’ve made my living online in three areas – blogging, freelance writing, and virtual assisting. And let me tell you – I’ve taken the long way in every single one of these areas. I feel like it’s now my duty to either explain step-by-step how you can avoid my mistakes (like with my freelance writing guide) or point you to someone who truly gets what it takes to be successful. In this case I highly recommend that if you want to become a virtual assistant you enroll in 30 Days or Less to Virtual Assistant Success. This course was put together by Gina Horkey. When Gina first came on the scene I was BLOWN AWAY by how quickly she gained momentum. 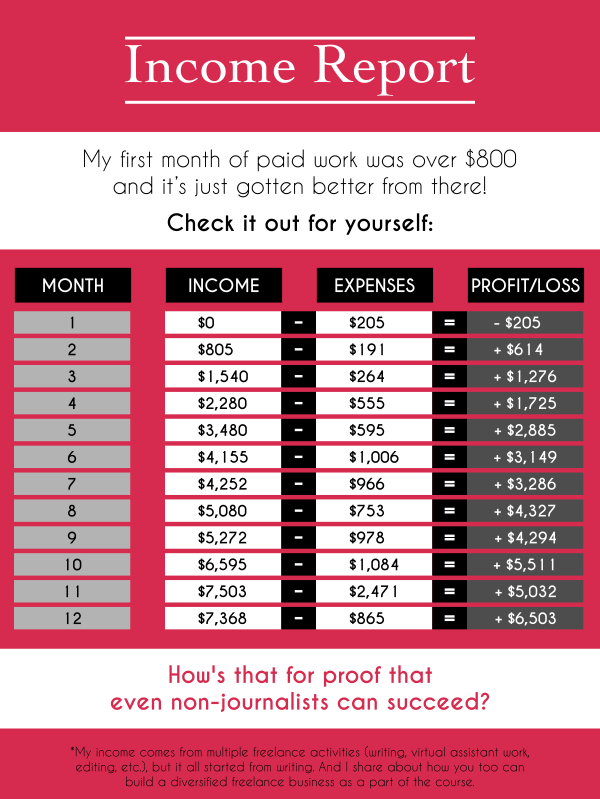 Here’s a look at her earnings from her first year online…. There’s a ton of value in this course and today you can get all this for $150. If you’re interested in building a successful virtual assistant business quickly I highly recommend taking this course. I’m glad to see you’re doing so well as a virtual assistant. Besides underbidding and selling yourself short in terms of pay, were there any other beginner mistakes you made early in your online business? What functions do you perform as a VA? Do you have to “be on call” 24/7 for your clients? No, definitely not on call 24/7. I was a VA for blogger so I scheduled blog posts, created images, managed social media, etc. I’m glad to read this article. I excited about this job as a VA, but i think need more lesson about how become a VA. So can I have your personal contact and we discuss about this deeper ? I currently work as an Executive Assistant for a C-level Exec in a Fortune 50 company and have been in this sort of role for about 18 years. Circumstances be what they are, I really need to earn more money to get my bills paid. Do you think doing VA work at night or on weekends would be a good option for me? I’m not sure how to get into it. I don’t think I need a course as much as I just need to connect with someone who needs the work done. Any suggestions? Thank you!